The Democrat and scourge of foreign wars is drawing praise from many Trump supporters. Jim Webb—the former Virginia senator, Ronald Reagan Navy secretary, and brief but memorable 2016 Democratic presidential candidate—addressed The American Conservative’s foreign policy conference in November 2016, immediately following Donald Trump’s shock White House victory. 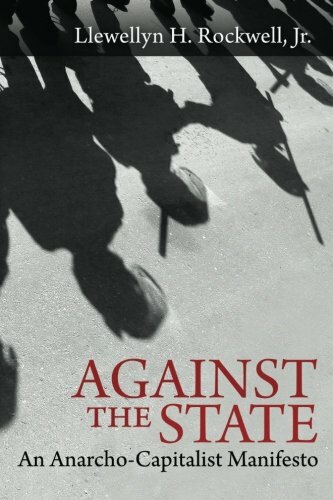 Against the State: An ... Llewellyn H. Rockwell Jr. Best Price: $5.00 Buy New $9.30 (as of 10:25 EDT - Details) Webb is not totally dissimilar to Trump, at least when it comes to party affiliation. Webb, who served as Navy secretary under Reagan’s Republican administration, is still officially a Democrat, but has always been coy about whether he personally voted for Trump or whether he would serve in his administration. He was clear on NBC’s Morning Joe in 2016 that he could not vote for Hillary Clinton, however, leaving viewers to draw their own conclusions. Webb is not totally dissimilar to Trump, at least when it comes to party affiliation. Webb, who served as Navy secretary under Reagan’s Republican administration, is still officially a Democrat, but has always been coy about whether he personally voted for Trump or whether he would serve in his administration. He was clear on NBC’s Morning Joe in 2016 that he could not vote for Hillary Clinton, however, leaving viewers to draw their own conclusions. In the days following Trump’s victory, some called for Webb to take the reins at the Pentagon. “The key for Trump will be to figure out a way to keep his coalition of supporters content,” wrote popular conservative columnist Mollie Hemingway at The Federalist, advocating for Webb. “One sector of that coalition is the one that includes those who were attracted to what they believed his foreign policy to be—restraint about when and where the United States fights wars coupled with a clear path to victory when we do.” In introducing Webb before his 2016 address, TAC’s own Bill Kauffman made the same suggestion. Now, with James Mattis having left the Pentagon, that call is sounding again. “Former Navy Secretary and former Asst Sec Def @JimWebbUSA would be someone to consider seriously for SecDef. His foreign policy views line up better with @realdonaldtrump and are not Bush 3.0,” Fox News’s Laura Ingraham tweeted. Ingraham, two sources familiar with the matter tell me, is close to Gods & Generals director Ron Maxwell, who is said to be quietly pushing behind the scenes on Webb’s behalf. And Ingraham, along with Tucker Carlson, also a friend of foreign policy restraint, form the tip of the spear of the new regime at Fox News, which, of course, has the ear of the president. 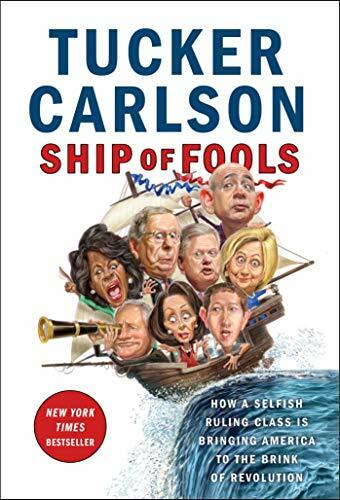 Ship of Fools: How a S... Tucker Carlson Best Price: $1.80 Buy New $8.45 (as of 03:45 EDT - Details) Primetime Fox—Ingraham, Carlson, and Sean Hannity—has been been far more likely to defend the president’s foreign policy courses than Fox’s more establishment-oriented daytime programming. So while Fox & Friends was castigating Trump over the Syria withdrawal, Carlson and Ingraham were just as bellicosely defending him. The war for the president’s mind is very real, and the fact that Ingraham and possibly Carlson are advocating for Webb makes him a major player. But now, with Mattis’s New Years’ Day departure, all four picks have flamed out.